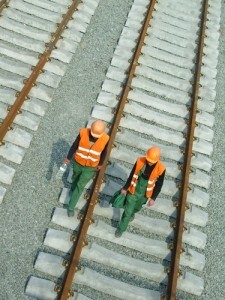 OSHA protects railroad employees, as well as other workers, by setting specific standards as to what employees are entitled to, such as safe work environments, when on the job. The Occupational Safety and Health Administration (OSHA) has been in place since 1970 in order to protect employees, including railroad workers, by setting standards and regulations associated with various elements of workplace safety. OSHA regulations are particular important to certain industries, such as the railroad industry and the construction industry, that are known to have a particularly high incidence of workplace injuries due to the nature of the jobs and the hazards that employees regularly come into contact with. Be free from any retaliation from an employer in the event that an OSHA inspection has been requested. A railroad employee being eligible to file a FELA claim against the railroad company. 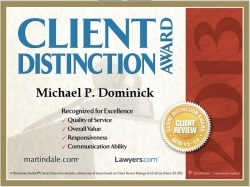 If you are a railroad employee who has sustained a workplace injury, you believe that your employer is in violation of OSHA regulations and you are considering (or in the process of) filing a workers compensation claim, it’s essential that you contact the Colorado workers compensation lawyers at the Law Office of Michael P. Dominick. Our legal professionals have a proven track record of success when it comes to securing our Clients, including railroad employees, the maximum possible compensation for their injuries and potentially permanent disabilities. For a thorough evaluation of your case, along with expert advice on the best manner in which to move forward, call us at (303) 447-2644.